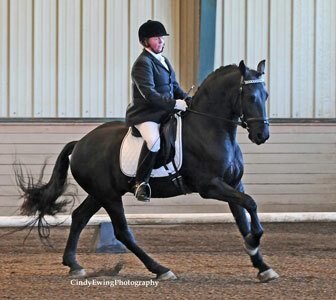 Dressage has two goals: to make you a better rider and to make your horse a better horse. Our definition of "better" for the rider is someone who rides with elegance, sensitivity and compassion. Our definition of "better" for the horse is an animal who loves his work and performs with ease and joy. If you're an experienced rider, but are new to dressage, Seven Oaks is a great place to get started! Our school horses are trained specifically to do dressage. They can teach you how to ride upper-level movements, how to show with confidence, or just how to communicate more effectively with the equines in your life.